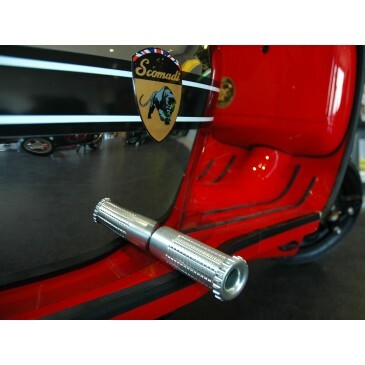 These Scomadi Foot Pegs are sold as a pair, with fitting instructions and the correct bolts for fitment. These Scomadi Foot Pegs are sold as a pair, with instructions and the correct bolts for fitment. These are made in the N.W. UK from 6068 aluminium and anodised to provide a long lasting hard wearing finnish.